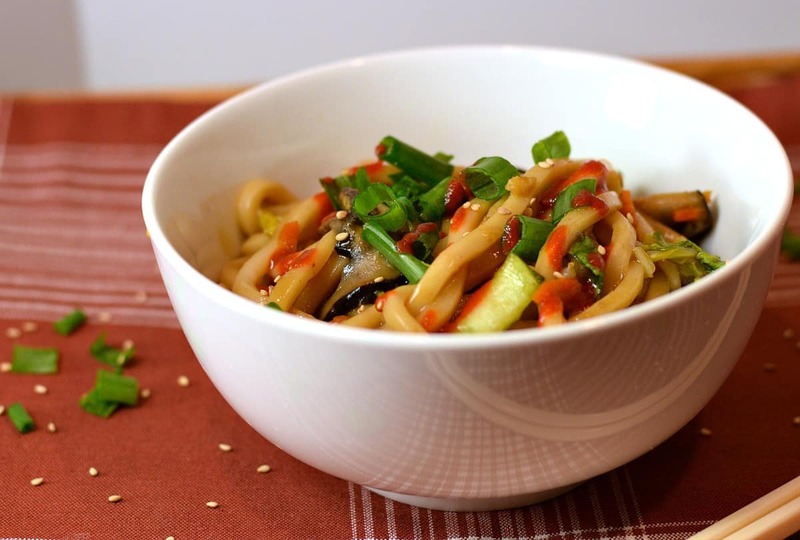 If you love noodles, you’ll love this recipe. Thick, chewy Udon Noodles, Shiitake Mushrooms, and baby Bok Choy soaking in a sweet & savory Stir Fry Sauce. People may not get Shanghaied in Portland anymore, but you’ll be sure to sneak these Shanghai Noodles away because everyone’s going to want some! The idea for this recipes comes from Portland’s not too distant, shady past and the fact that our famous tunnels are said to be haunted. You see…. Portland was known as “The Shanghai Capital of the World”, and the tunnels that still exist underneath old town get bombarded every Halloween for tours. So I was sitting here on Halloween, seeing ads for the haunted tunnel tours, and thinking about noodles…..Udon Noodles to be exact…. and so I googled Shanghai Noodles. Imagine my surprise when I found out they were a real thing….and boy did they sound good! 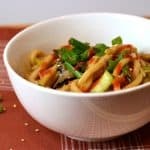 You’ll need some Udon Noodles, Shiitake Mushrooms, Napa Cabbage, Baby Bok Choy, Garlic, Ginger, Green Onions, and a Carrot for this recipe. For the sauce, I mixed Soy Sauce, Hoisin Sauce, Mirin, a little Chili Garlic Paste and just a little Brown Sugar. A very simple Stir Fry….. you got this! The Udon Noodles I bought were precooked and compacted in a little 7oz package with a seasoning packet (throw that away). I simply added 3 of those packages of noodles to some hot water and let them slowly unwind from each other. Stir them around with a wooden spoon if it helps. Then drain and set aside. Make the sauce by whisking all the sauce ingredients over low heat, and when it starts to simmer, add a slurry of 1 Tbs cornstarch and 1 Tbs water. to thicken. Remove from heat when thickened and set aside. Stir Fry the ginger and garlic in a little water until softened, then add 1 shredded carrot, a small bundle of chopped Baby Bok Choy, an 8 oz package of Shiitake Mushrooms and about ¼ head of chopped Napa Cabbage. When the veggies are nice and soft stir in the sauce and the noodles. Mix well to combine and serve with chopped Green Onions for garnish. As always – leave those comments! I love getting your comments and I read each and every one! 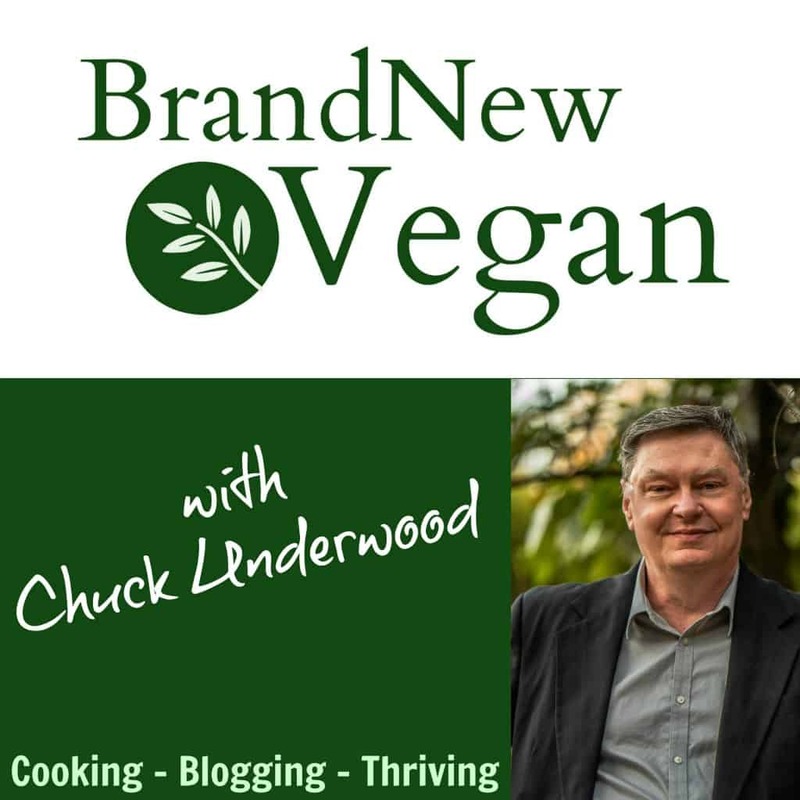 Once again, thank all of you for supporting Brand New Vegan!!! Don't get shanghaiied in Portland without at least trying my Shanghai Noodles! 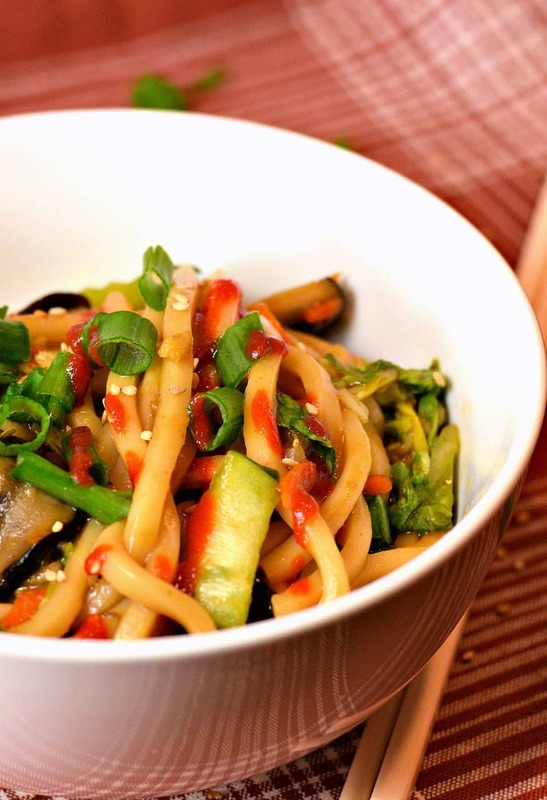 Chewy Udon Noodles, Shiitakes, and baby Bok Choy in a sweet & savory sauce. Add packages of noodles to hot water, stir until they loosen and unwind. We will NOT be using the flavoring packets - toss them. Add carrot, bok choy, cabbage, and mushrooms. Stir fry until veggies have softened. Keep adding water as necessary to keep everything from sticking. Every time I come to your page, I end up in the kitchen. Plan on making this soon but today I have to spend outdoors in a garden. I’ve made it before and have to do it again. You’ll find the precooked Udon noodles in the refrigerated Asian foods section (some stores also sell them on the shelf with the other asian noodles.) There could be different brands in different areas of the country. Chuck, I have been trying to cut out flour products and I just was thinking that this would be awesome made with nuPasta (konjac) noodles. Maybe you could try it one day soon?